Many a time when we are watching movies, we see the breathtakingly beautiful scenery and wonder where that particular shot was taken. The beautiful landscapes, waterfalls, mountain ranges and the overall peaceful and serene surroundings make you want to visit such places. You wonder if such places really exist in India. Yes, they do, our very own Heaven on earth, Shimoga. Officially rechristened as Shivamogga, the city in Karnataka lies on the banks of the River Tunga. The name “Shivamogga” is derived from Lord Shiva, “Shiva-Mukha – Face of Shiva, “Shivani Mogu” – Nose of Shiva and “Shivanna Mogge” – Buds of flowers to be offered to Lord Shiva. Highlighting a proud history that goes back to 2000 years ago, evidence found Guddemaradi prove that there was prehistoric life at the site. The remains of Iron Age Metallic and Neolithic people and their culture have been discovered here. The city has a long and colourful history that goes back to the 3rd Century AD. It made its name in the Indian and world history when a Satyagraha movement was offered by its women folk at Hechche. The late Mahatma Gandhi also visited the place to instigate the fight for national freedom. History and culture are definitely a big part of the city. However, it is also the land of majestic waterfalls, scenic hills and valleys, dense forests, beautiful forts and temples and rich in flora and fauna, making it your perfect holiday destination. There is no need to go to Canada to see the world famous Niagara Falls. Shimoga is the home of our very own Niagara Falls, and hence the reason for being a major tourist attraction. 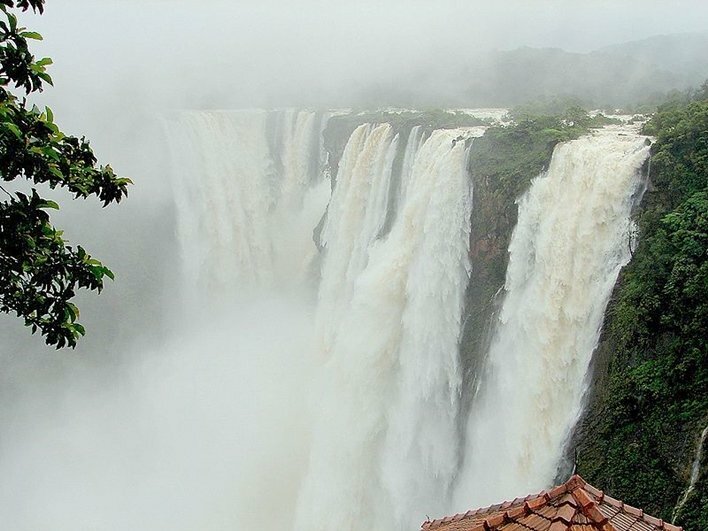 The Jog Falls are the highest waterfall in the country. Although they are about a 100km away from the city, the journey is worth it. Plunging from a height of 293 metres, the falls comes down in four different tracks, namely Raja, Roarer, Rocket and Rani. The effect of this falls is made even more spectacular by the wild and beautiful region flanking it. The ideal time to visit the falls is between July and September when the falls are at their zenith. 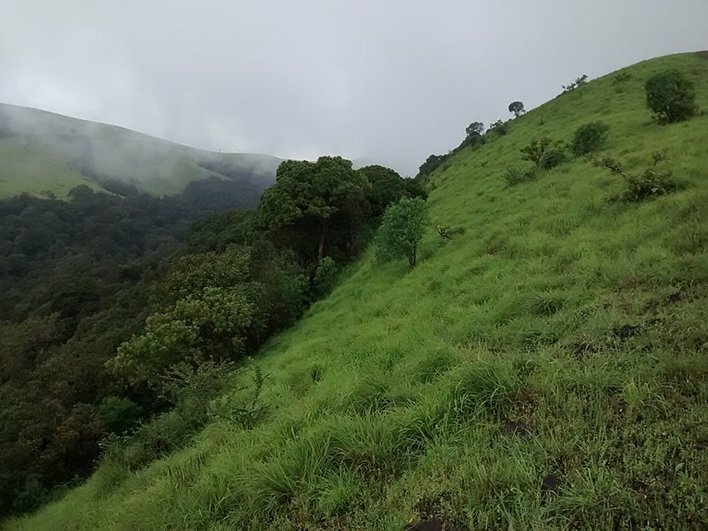 Blessed with the beauty of amazing landscapes, Kodachari is a beautiful mountain peak. The very meaning of the name “Jasmine of the Hills” suggests that the peak and the surrounding area are home to several unique species of flora and fauna. It is one of the best-recommended overnight trekking areas. You can indulge in the mesmerising beauty of the bright orange sun setting into the Arabian Sea, against the backdrop of the jewel of the Western Ghats. The splendid panoramic view of the sun changing its colours in the evening, only to rise the next day over mist covered hills is a scene worth waiting for. The Camp is 14 km away from Shimoga and is the home to a number of elephants. It is recognised as the best elephant training camp in the country, whereby professional mahouts train the elephants. The perfect places to take the kids, where they can enjoy watching them bathe in the River Tunga. The camp allows close interaction of visitors. Boating is yet another activity that can be enjoyed by the whole family. Head to the Tunga Anicut Dam located just 12 km. away from the city and enjoy boat rides, the serene ambiance and its breathtaking beauty. A must visit for wildlife lovers; this animal sanctuary is the best in Karnataka. The Tyavarekoppa lion and tiger safari are a once in a lifetime opportunity. The sanctuary is located about 10 km from Shimoga. Jeep safaris are organised by the forest department that allows visitors to watch most of the species of wild animals. The safari is from 10:00 am -5:00 pm except on Tuesdays and the National Holidays. 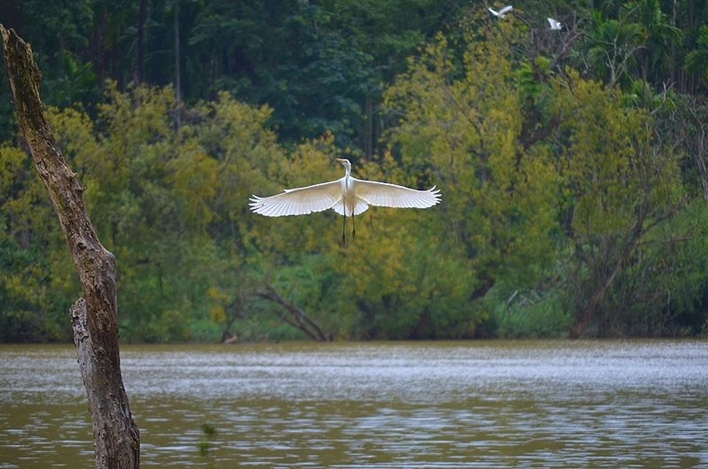 Located 30 km away from the city, Mandagadde Bird Sanctuary is host to a variety of exotic species of birds. The dense forest and the Tunga River make it a haven for the various birds found here. Migratory birds like Median Darter, Egret, and Little Cormorant, usually come at the onset of monsoon and migrate back in October. The best time to visit the sanctuary is in August when migration is in full swing and more than 5000 birds are in habitat at that time. On the way to Jog Falls, you come to a small village called Honnemardu. It is a popular destination with adventure enthusiast. An ideal destination for all ages, adventure activities include hiking, canoeing, camping, coracle rides, kayaking, windsurfing and a host of adventure activities. The village is also a birdwatcher’s ideal paradise. Located 276km from Bengaluru, Shimoga is easily accessible by all modes of transport. Shimoga’s domestic airport is a 10-minute drive from the city. The nearest International Airport is Mangalore Airport, about 200 km away from Shimoga. The completion of Shimoga Airport, about 13km from the town, will make it directly accessible by air. Shimoga Nagar Railway Station facilitates rail communication with its links to the major cities of Karnataka and other states. The Bengaluru-Shimoga Express regularly travels this route. You can take a car from Bengaluru to Shimoga, a distance of some 280km. You can also drive from Hubli (211 km), Mangalore (190 km) and Mysore (245 km). Going to Shimoga by bus is a child’s play as it is well connected by Karnataka State Road Transport Corporation and other private travel services. Culture, history, sightseeing and nature, not to forget our very own Niagara Falls, all at one with each other, you cannot go wrong when you visit Shimoga.